How Often Do Slots Hit The Progressive Jackpots? - Casino Answers! 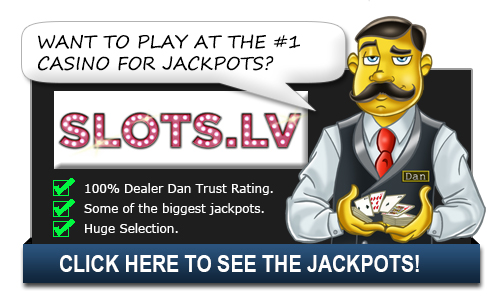 Casino Answers » Casino Progressive Jackpots » How Often Do Slots Hit The Progressive Jackpots? How Often Do Slots Hit The Progressive Jackpots? In every slot machine, the progressive jackpot is generated by a computer randomly. It is, therefore, difficult for any individual to determine the exact time or how often the slot machine will hit the progressive jackpot. However, there is a possibility circulating that guarantees how you can determine when the slot machine is just about to hit. It is very a consuming method that requires patience. Visit your favorite casino often and closely monitor different slot machines, noting which those that pay out frequently and how high the jackpot payouts are. The truth, however, is that no one, including the casino folks, can determine exactly when a slot machine is about to hit the progressive jackpot. Though the casino folks are more familiar with these machines, it does not guarantee them knowing the exact time. The slot machine can hit at any time. The computer generator is programmed using random algorithms and therefore it strikes when we cannot tell. With all this information, the answer is that there is no absolute way to determine how often slots hit the progressive jackpot. Winning at progressive jackpots requires a combination of knowledge and luck, just like in life. These tips will, however, produce better results if followed. This is a very obvious advice but one that must be emphasized as it is often overlooked by online casino players. You have to search for the slot machines with the biggest and the best payouts to winning at progressive jackpots. Well, of course, you have to play the slots themselves to determine which one offers the best payouts. However, if you cannot bet too much of your money on this kind of betting, you can always access the online review sites that find the machines with the best payouts! Often, too, you will discover through these websites that online casinos offer better payouts than their land-based counterparts. It must be because online casinos have lesser overhead expenses, not to mention that the competition is so tough that better promotions must be made to entice more and more players. Of course, when playing the slot machines with the best payouts, you must also find the online casinos that offer bonus plays. Big is a relative term although a million dollars is big enough. Anyways, to win at progressive jackpots, you must know how slot games work. You will realize that playing when the jackpot is sufficiently big will provide bigger chances of winning it simply because you already have an edge. An edge means that, in the long run, you can reasonably expect to win money at the slots than what you have poured into them. Indeed, the concept of “overdue” is an outdated one that you must abandon now or abandon all hope of ever winning at progressive jackpots. This is the most important tip in winning at progressive jackpots. You can and will only win it if you are playing the maximum number of coins! As such, if you plan on being a thrifty gambler, then don’t waste your money because you will be significantly lessening your chances at winning this game, probably reducing it to zero. Besides, even if you do win the progressive jackpot by some fluke of fate, you will be shortchanging the game and yourself. And what profitable good is there in that? However, before you play full coins, always remember to read the payout tables. You want to play the machine that will provide the biggest payout with the smallest investment. On a last note, the ways on how to win at progressive jackpots will start and end on your good financial management. You must learn to walk away if and when your limits for losing and winning have been achieved even when the jackpot seems within your reach. Keep in mind that playing progressive jackpots over and over again is not something you want to do for the rest of your life. How often are Progressive Jackpots won?